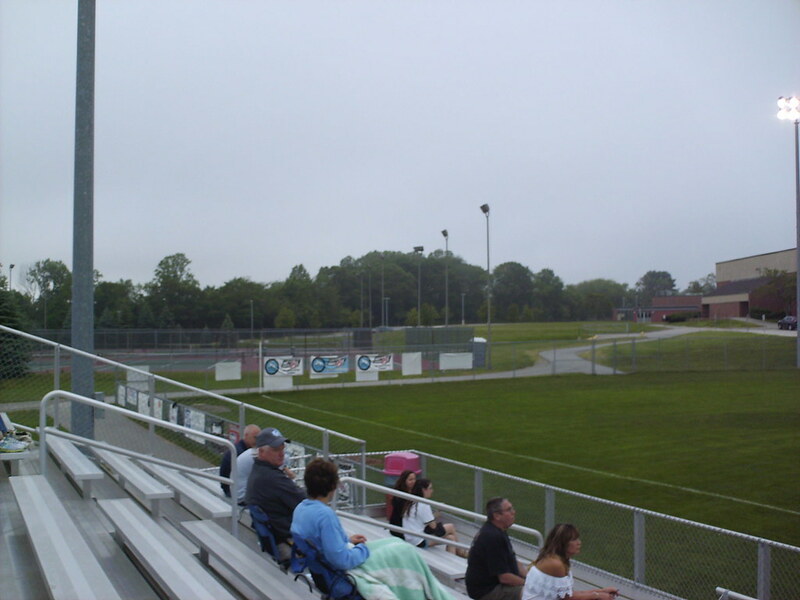 The view fro behind home plate at The Shipyard. 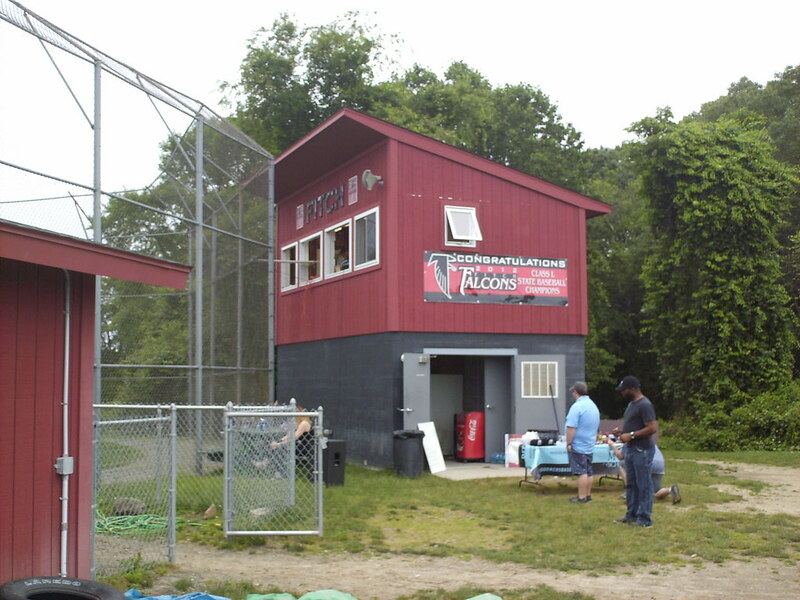 The pressbox sits behind home plate, with picnic tables in front of it and a concession table beside it. 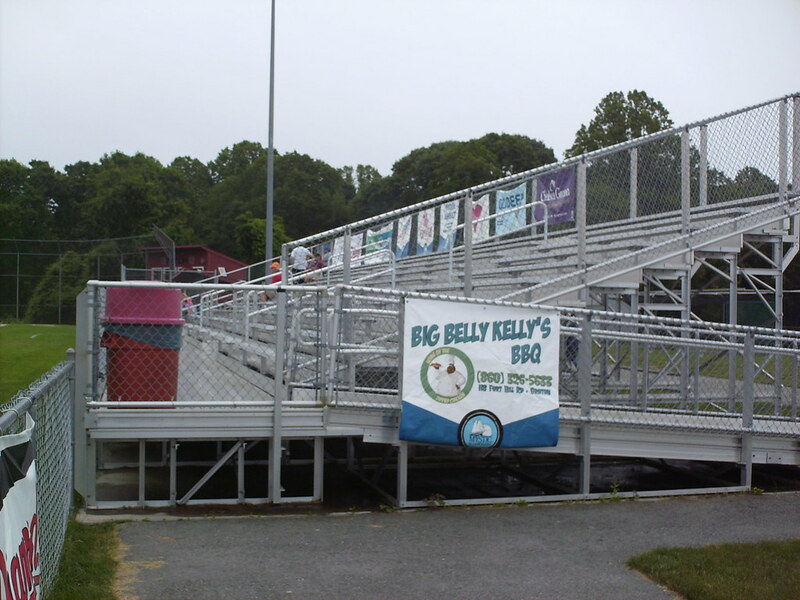 The main grandstand at The Shipyard is a large metal bleacher section running down the third base line. 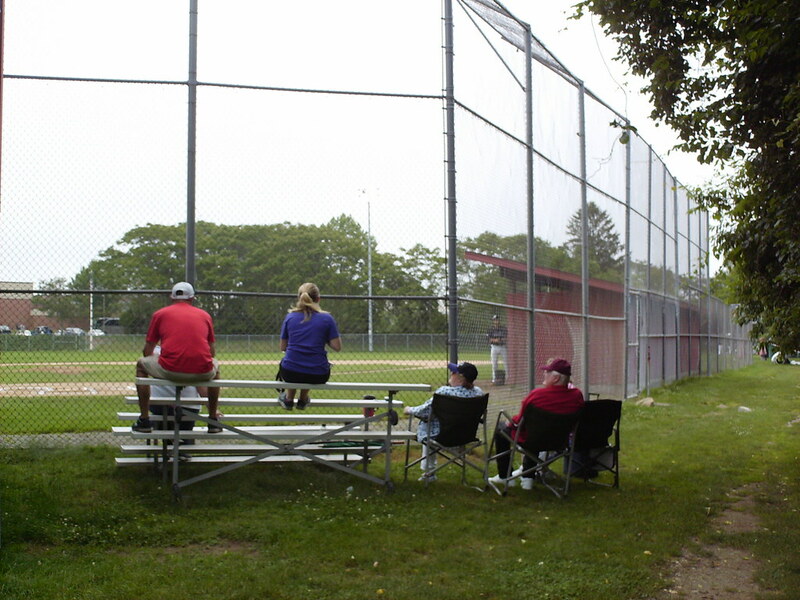 A small bleacher section behind the backstop provides the only permanent seating behind the plate, but fans also bring their own chairs to set up on the grass. 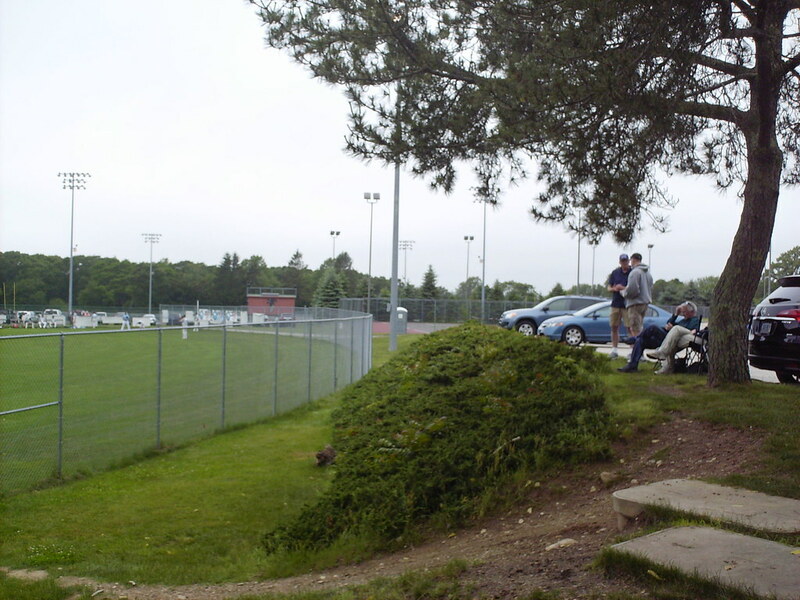 Fans also make their own seats on the tree lined hill that sits above the outfield fence. 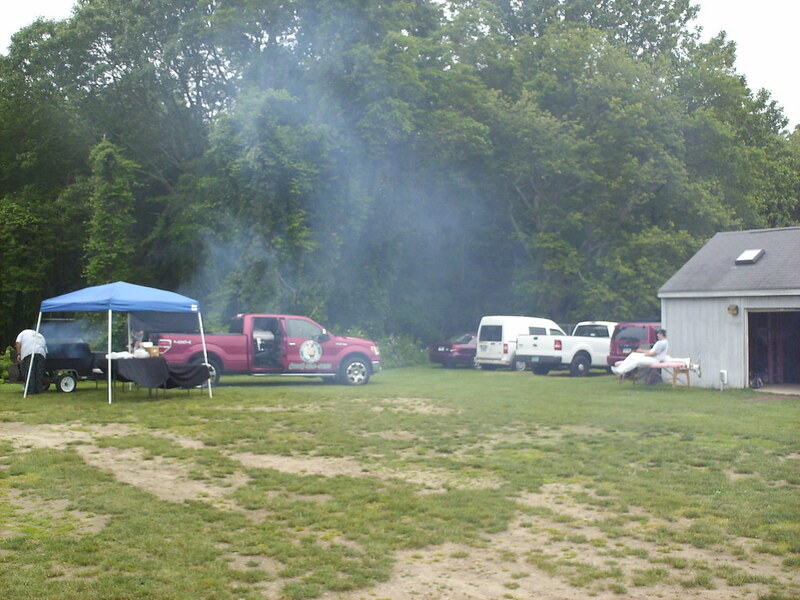 Concessions are cooked on an outdoor grill, while players get physical therapy on a table in the parking lot. 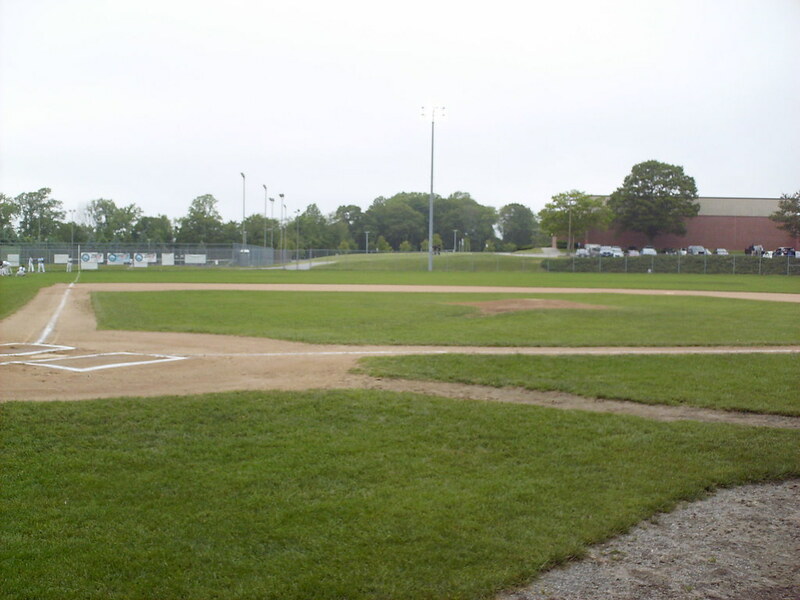 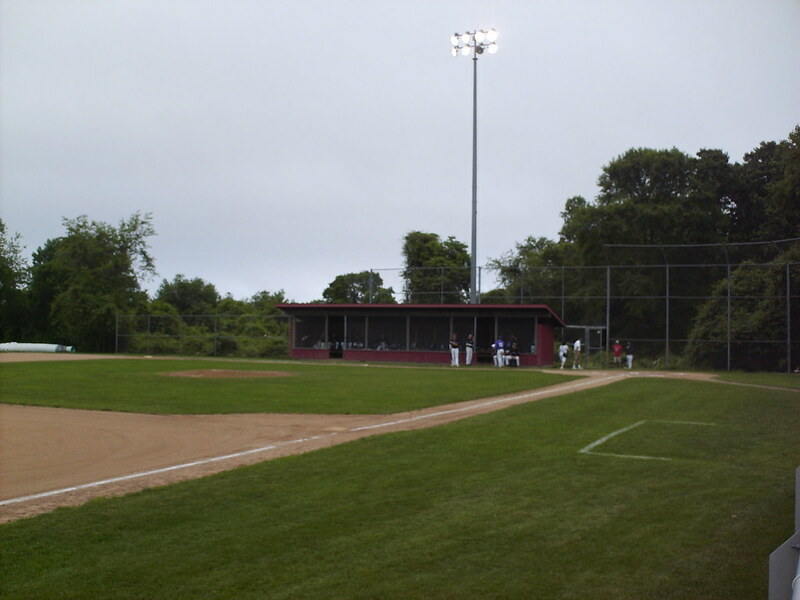 The dugouts are above ground, screened-in wooden structures. 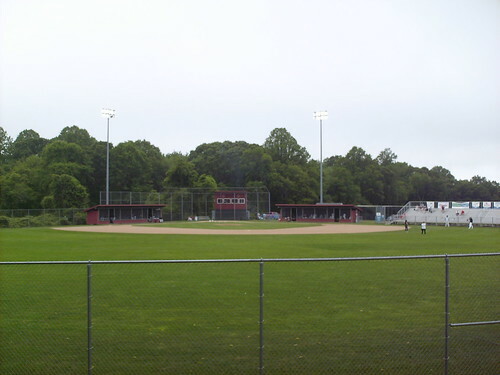 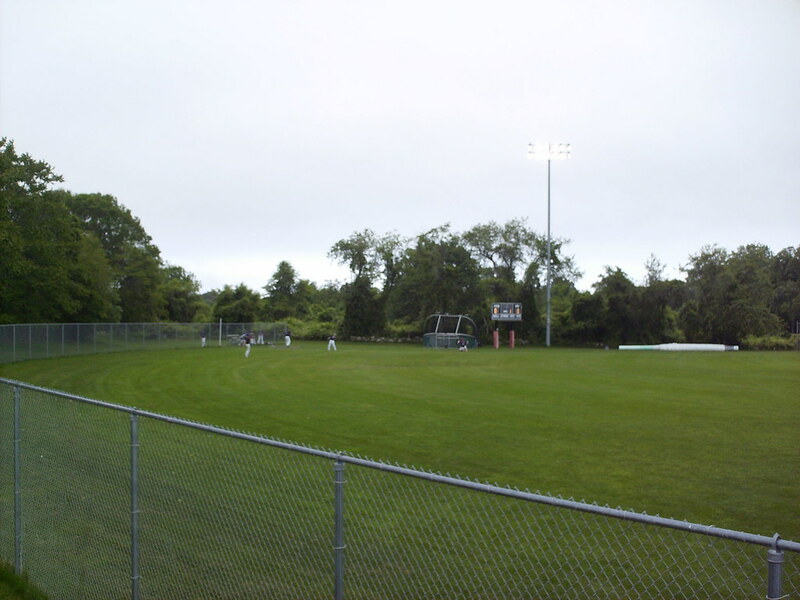 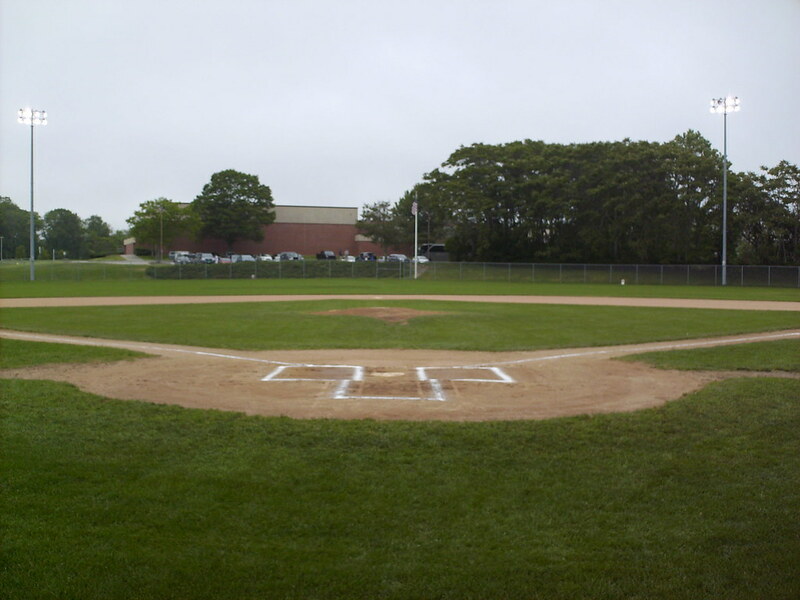 Banners on the left field wall celebrate Schooners division and league championships, and the buildings of Fitch High School sit behind the fence. 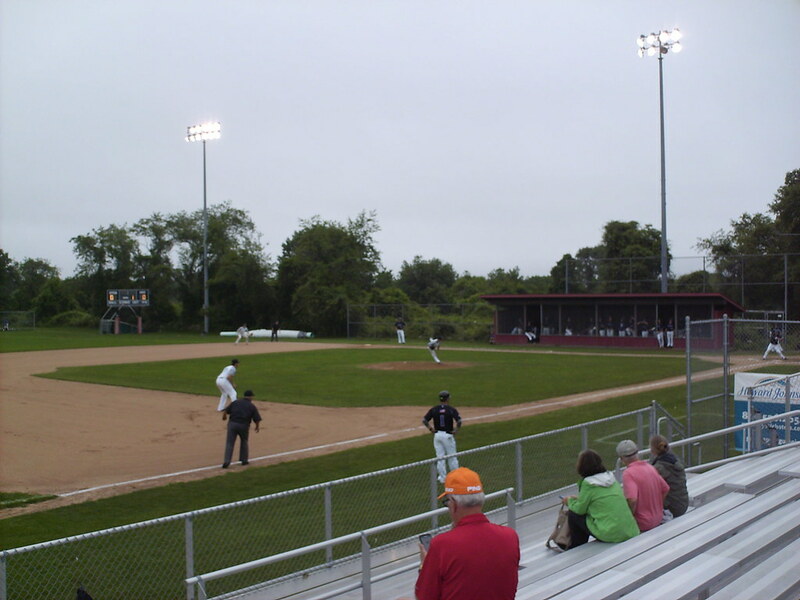 The small scoreboard sits just out of play on the first base side of the ballpark. 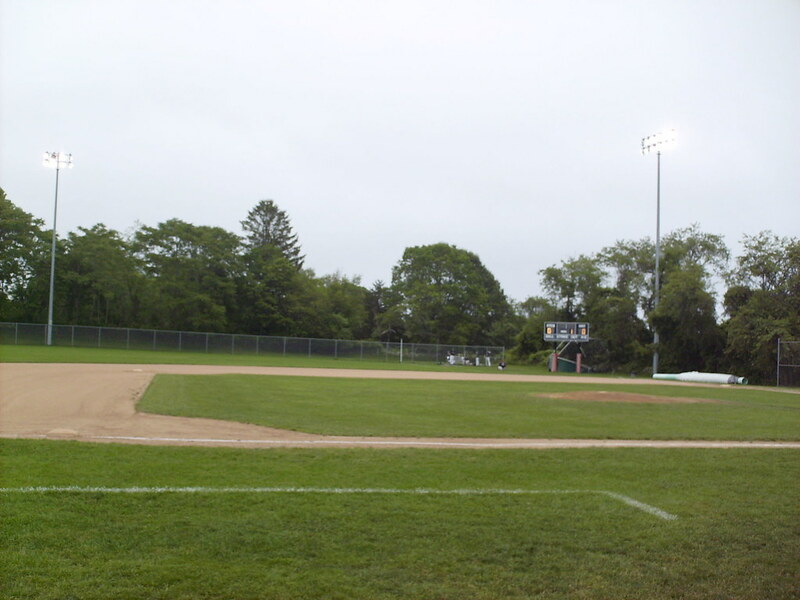 The Mystic Schooners on the field during a game at The Shipyard.